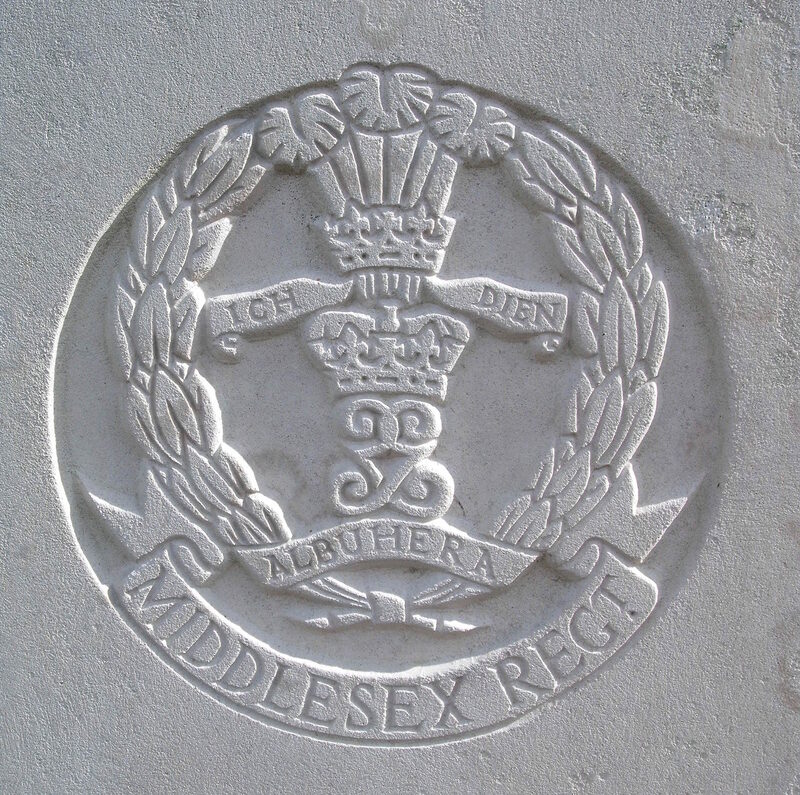 1/8th Bn, The Middlesex Regiment, 167th Brigade, 56th Division, B.E.F. Next of Kin: Second son of the late Mr W J Batho and Mrs Batho of 2 Cresswell Road, East Twickenham. Previous Employment: Assistant Master at St Cuthbert’s School, Worcester Road, Malvern. Arnold Capel Batho, Middlesex Regt was the second son of the late Mr W J Batho and Mrs Batho of 2 Cresswell Road, East Twickenham. He was born in Muswell Hill, London and educated at the Stanley Home School, Margate and Bancroft, Woodford, Essex. At the time of enlistment he was assistant master at St Cuthbert’s School, Worcester Road Malvern. He was deeply interested in the Boy Scout Movement and was a very successful Scoutmaster of the 3rd (St Cuthberts) Malvern Link Troop and greatly assisted a troop in the parish St Stephen’s, East Twickenham whilst on holiday. A territorial of four years service, he re-enlisted at the outbreak of war. He was wounded in some of the fiercest fighting of the earlier stages of the war and was invalided home. On his recovery he was commissioned into the Middlesex Regt and returned in January 1915. He was an excellent signaller and was appointed Signal Officer to his Battalion. He was killed on the evening of the 15th September while the 1/8th Middlesex took over captured German trenches from the 1/1st London Regiment after a successful attack on Bouleaux Wood. For an extract from the Battalion War Diary covering this action, click here.